First opened in Baldivis, QVC Dental expanded to a new area in 2017, so we can care for the oral health needs of the Port Kennedy community. Our gorgeous coastal location serves many families and individuals who seek out dental care based on Quality, Value and Care. 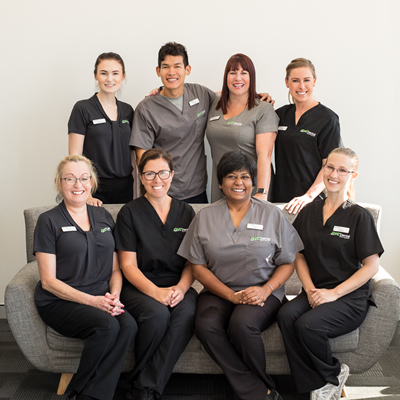 At QVC Dental Port Kennedy, we endeavour to provide a different kind of oral health experience than anything you’ve had in the past. With a brand-new facility and state-of-the-art equipment, our skilled team knows you should be able to expect an individually orientated focus each time you visit us, unlike any other. Only the care we feel is necessary will be recommended to you. Whether you want to maintain a brilliant smile or have specific concerns, we’ll work with you to achieve your goals. In our comfortable lounge, you can enjoy coffee or tea, take a moment in our beautifully appointed relaxation room or get caught up on work before seeing your dentist. When you enter our professionally designed rooms, you’ll feel relaxed and at ease, knowing you’re in great hands. Private consultation spaces enable us to discuss your treatment with discretion, ensuring that you fully understand your options and have all your questions answered. We’re open six days a week for your convenience and welcome emergency case. Contact us today to get started!